CurcuVET is a readily absorbed curcumin (turmeric) supplement for dogs that works quickly to reduce inflammation and is especially beneficial to the liver, GI tract and joints. Buy 2 for FREE Shipping! 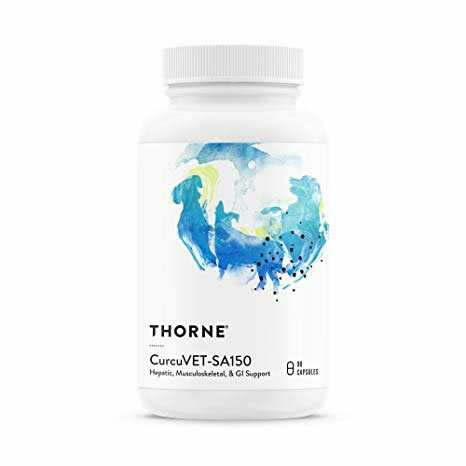 CurcuVet-SA150 is a curcumin supplement for large dogs (+75 lbs). For smaller dogs and cats, see CurcuVet-SA50. Curcumin, the orange pigment in turmeric, is a powerful antioxidant that also has anti-inflammatory benefits to reduce inflammation throughout the body. There are hundreds of curcumin supplements available, so what makes CurcuVet different? Its bioavailability! Curcumin, like many other plant extracts, is poorly absorbed in the bloodstream. CurcuVET is unique in that its curcumin is bound to a phospholipid, an essential component of cell membranes. By attaching a curcumin molecule to a phospholipid, the curcumin can pass through the cell membrane for superior absorption. Better absorption means better efficacy! Studies have shown curcumin not only helps reduce pain and inflammation, it also protects the gastrointestinal tract, liver and kidneys from damage. 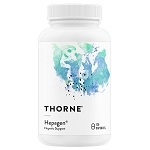 Curcumin is also beneficial to the liver in that it enhances the animal's natural antioxidant system by increasing the level of glutathione, thereby aiding in liver detoxification. Inflammation of the joints can cause arthritis. Inflammation of the intestinal tract (Inflammatory Bowel Disease) leads to vomiting, diarrhea and weight loss. Inflammation of the sinus cavity can lead to sinus congestion resulting in infections. CurcuVet works to reduce inflammation throughout the body. CurcuVet can be used as a primary treatment for arthritis, liver disease, respiratory issues, gastrointestinal problems, and can also be used as a complementary treatment when NSAIDS, antibiotics, chemotherapy drugs and other medications are being used. My 12 year old dog had a large mass on her back. It was about 2.5 x 3.5 inches and visibly noticeable. I read online about turmeric slowing mass growth and came across this product. I started giving to my dog on 12/24/14, 2 caps in the morning and 1 cap in the evening. On 12/28/14, I checked the mass and it had gotten significantly smaller. On 1/1/15 when I checked it it had gotten even smaller. It's no longer visible and is now almost flat. I tried to measure it but it's so flat that I can't tell where it begins or ends. I'm totally satisfied with this product and highly recommend it. Our 10 year old Shepard was to the point that he could not get up off the ground because of arthritis in his back and hips. We could see he was in constant pain, he had started skipping a lot of meals. Since we have been giving him the curcumin he is much happier. He enjoys walking, he is eating again and can get up off the ground better. We love this supplement! Curcumin is an incredible anti-inflammatory, both for dogs and humans. For human's it's called, Turmeric. My dogs (and I) are both the better for it. Yes! This is working great for my nearly 13 year old Golden Retriever. Before, she was so slow, and acted like she was sore all the time. After a few weeks on this, (was improving a little each day), she now trots around like she's a happy girl, and can even get up into the kennel with no help! Thanks for a great product!!! 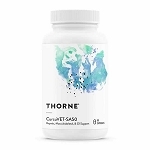 Curcumin Phytosome* (Curcuma longa extract (root) / Phospholipids complex from sunflower) - 150 mg. Dogs: 1-3 capsules per 75 lbs. body weight daily. For dogs weighing less than 75 lbs., use CurcuVet-SA50.